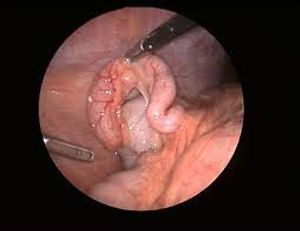 The appendix can be removed using small surgical cuts and a camera. 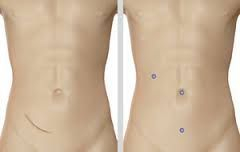 This is called a laparoscopic appendectomy.Usually 3 small cuts are required for the surgery.Now even SILS ( single incision laparoscopic surgery) can be done for appendectomy. Why this Procedure is required ? In order to alleviate the cause of acute pain and prevent dreadful complications like APPENDICULAR ABCESS ,APPENDICULAR PERFORATION,SEPTICEMIA,etc .These complications can be life threatening. If you have symptoms of appendicitis, seek medical help right away. Do not use heating pads, enemas, laxatives, or other home treatments to try and relieve symptoms. Even when the surgeon finds that the appendix is not infected, it will be removed to prevent future problems. Patients tend to recover quickly after a simple appendectomy. Most patients leave the hospital in 1 to 2 days after surgery. You can go back to your normal activities within 2 to 4 weeks after leaving the hospital. Patients who have the appendix removed through small surgical cuts tend to recover and get back to their daily activities faster. Recovery is slower and more complicated if the appendix has broken open or an abscess has formed.